There are good reasons so many companies sponsor sports. For a start, the audience can be massive, which helps in terms of building brand recognition. And, there’s no disputing that involvement in sports can be a whole lot of fun. SAP’s sports sponsorship footprint is bigger than most. 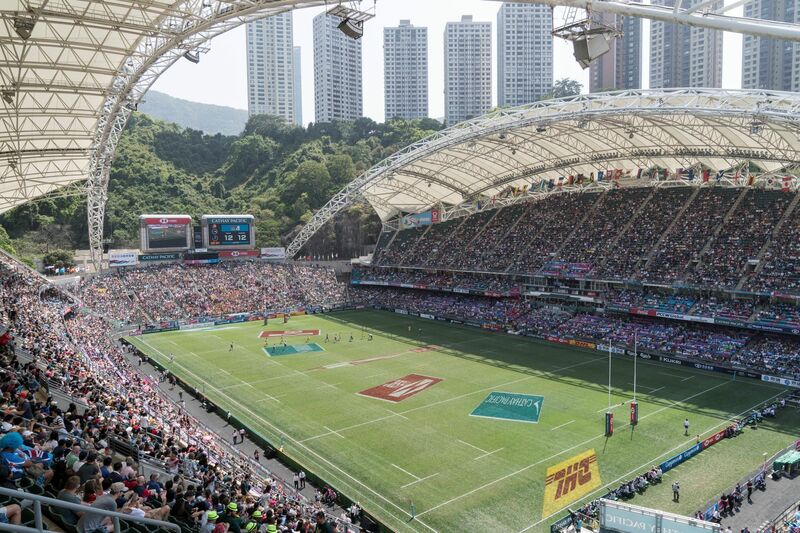 The list includes events in at least a dozen different disciplines, with the world-famous Hong Kong Sevens rugby tournament being a great home-grown example. However, these days there is more to sponsorship than putting up some money and having your logo displayed prominently at the venue and in the promotional programme. Today’s fast-changing, technology-enabled marketing and consumer landscape demands a new, more-dynamic model of corporate sponsorship. Call it “sponsorship 2.0.” In this new paradigm, richer collaboration amplifies impact and partnerships go far beyond pay-for-placement. We are putting sponsorship 2.0 into action, transforming how we engage with our sponsor partners. For example, World Rugby – the global governing body for the sport of rugby union – is using an SAP cloud solution. Covering Enterprise Resource Planning (ERP), Customer Relationship Management (CRM), Business Intelligence (BI), Human Capital Management (HCM) and Enterprise Content Management (ECM), the transformation is aimed at introducing efficiencies across the organisation. The special demands of sailing make it the perfect platform for SAP to bring its innovations to life. Our cutting-edge solutions provide an unprecedented experience for fans and a competitive advantage for sailors. As IoT has found its way into equestrianism, SAP Equestrian Analytics is taking fans of CHIO Aachen and Event Rider Masters for a ride on race day. Going beyond spectating, SAP Audience Judging empowers fans to take the judge’s seat and co-score the competitors in real-time. And SAP recently put some skin in the eSports game, becoming a three-year sponsor of Team Liquid – a clan on the Battle.net gaming platform. We are co-innovating on in-game data analysis to improve player and team performance, and achieve greater precision in key areas like scouting new talent. There will be more of this kind of in-depth commitment in the coming year. You’ll see it first-hand here in Hong Kong in March(2019) when the thrilling Formula E electric race car Grand Prix returns. SAP is the official business performance partner for the Mercedes EQ Formula E team (with its subsidiary team racing in 2018/19 season) , which is using the SAP HANA business data platform to help the team analyze large volumes of data and monitor overall performance. By engaging dynamically with our sponsor partners in sports and entertainment, we help them run better on the field, in the stands, and in the front office. This approach also enables them to more intimately experience SAP, see the value of our products and services, and then share the SAP story authentically. That’s a more inspiring dynamic than simple logo placement! It’s a collaborative effort, and one that advances SAP’s mission to help the world run better and improve people’s lives. Including their enjoyment.